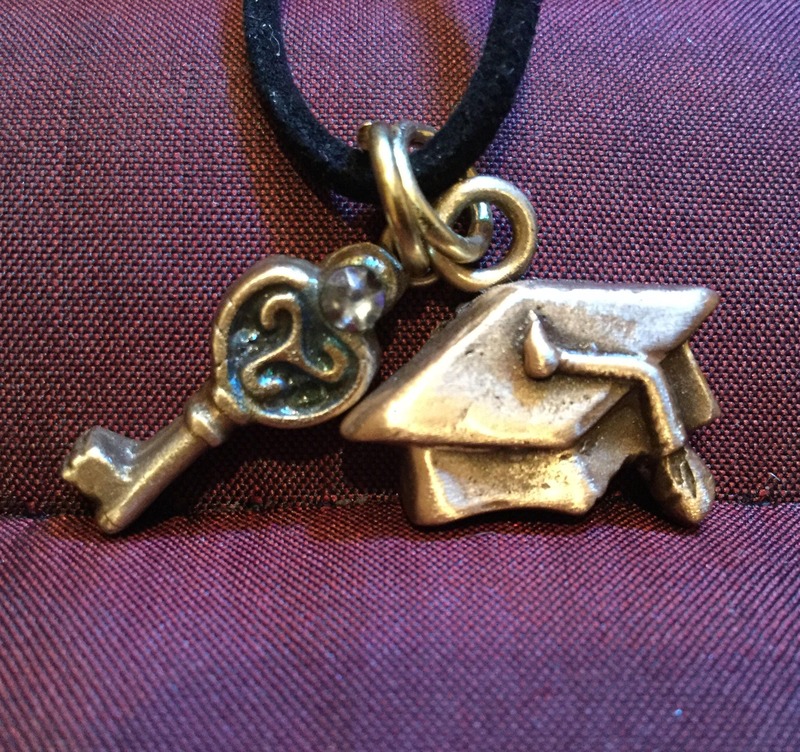 B215 Graduation cap (mortar board) and a key to the “future”. 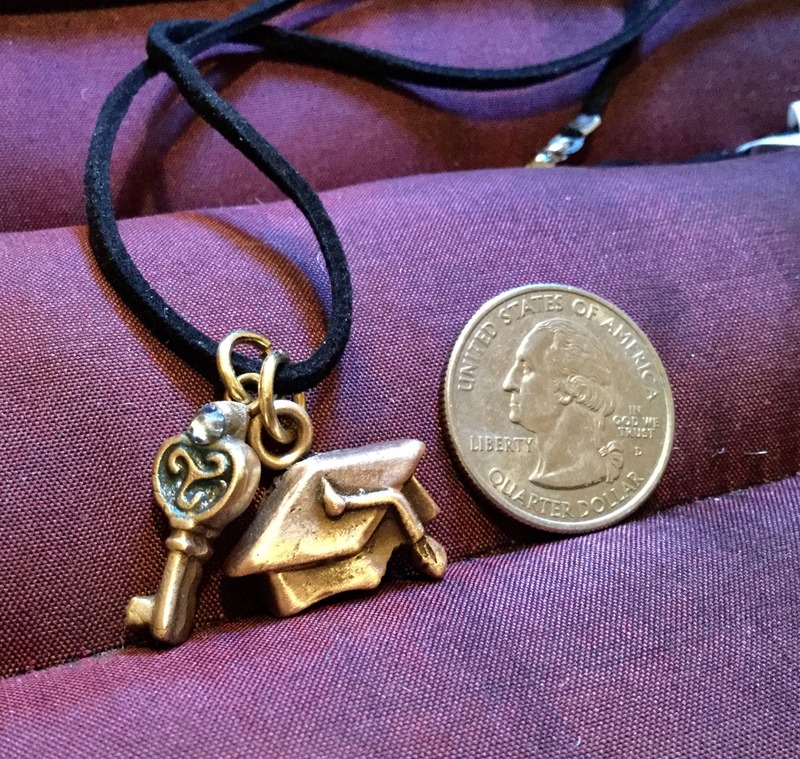 This set is a perfect gift for a student, or graduate, un, The charms are Handmade in pure bronze that is called rose bronze because it resembles Rose gold. 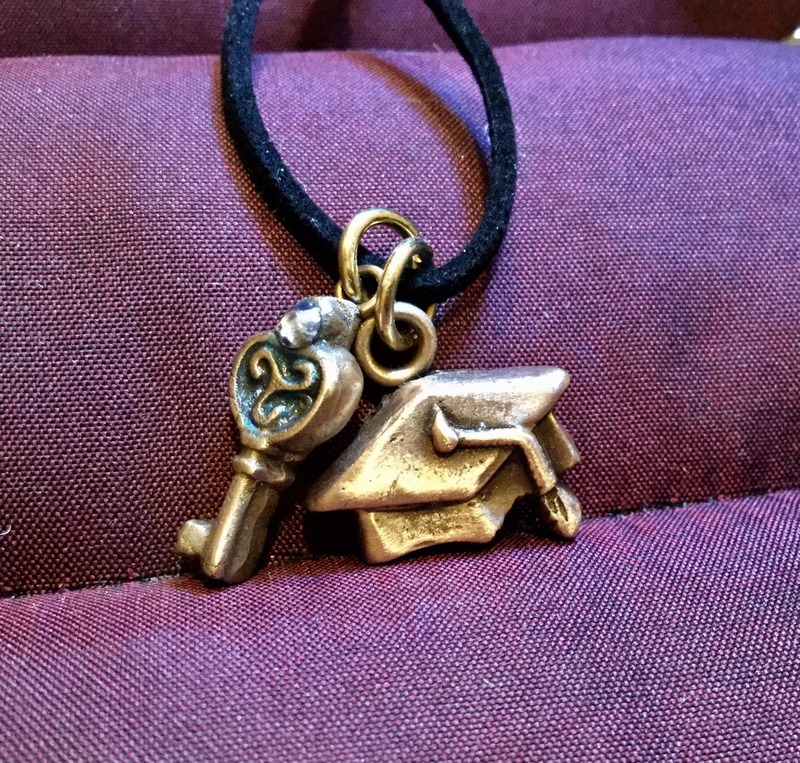 This double pendant consists of the iconic symbol of graduation and a decorative key that is enhanced with a Swarovski Crystal and blue Enamelling. 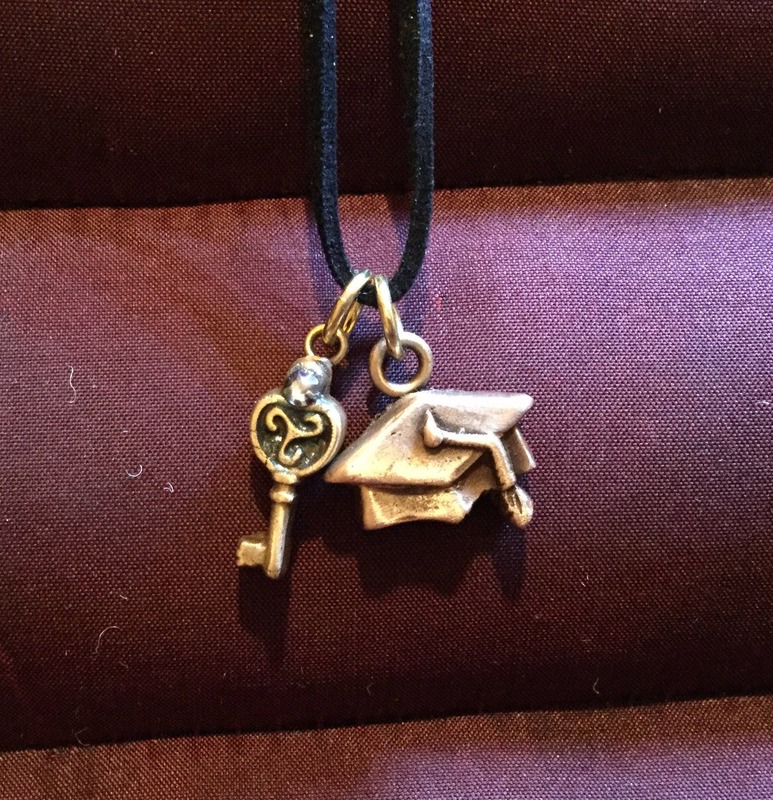 You’ll note that the key has my logo on the reverse - a Phoenix, and the graduation cap is finished on both sides. 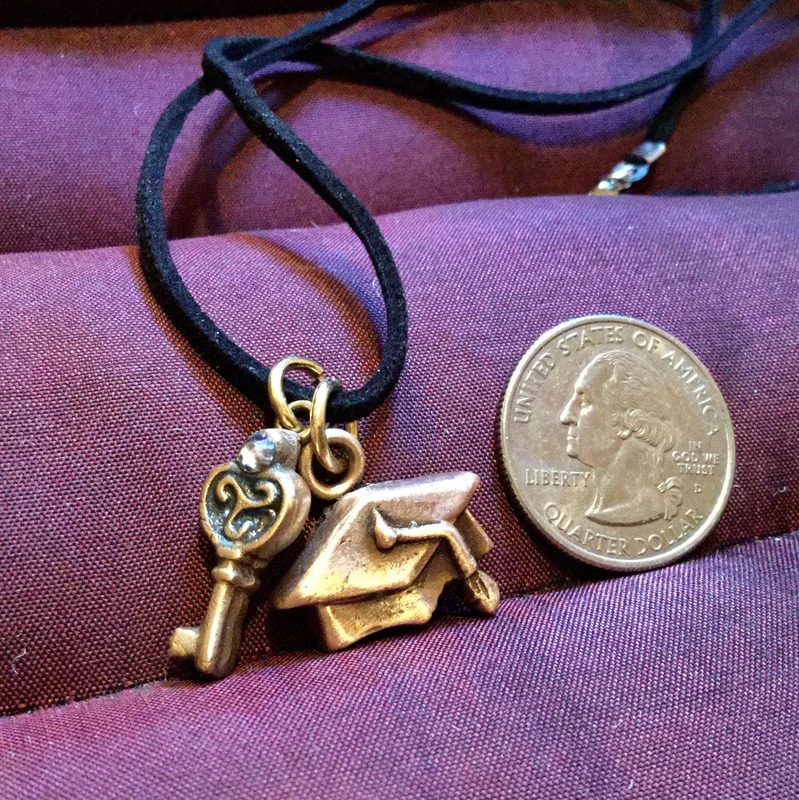 This pendant is fun to wear as it moves with you. The images are taken in high resolution and close in, so pieces look large. BUT! Please note SIZE, as most of my work is small and intricate. 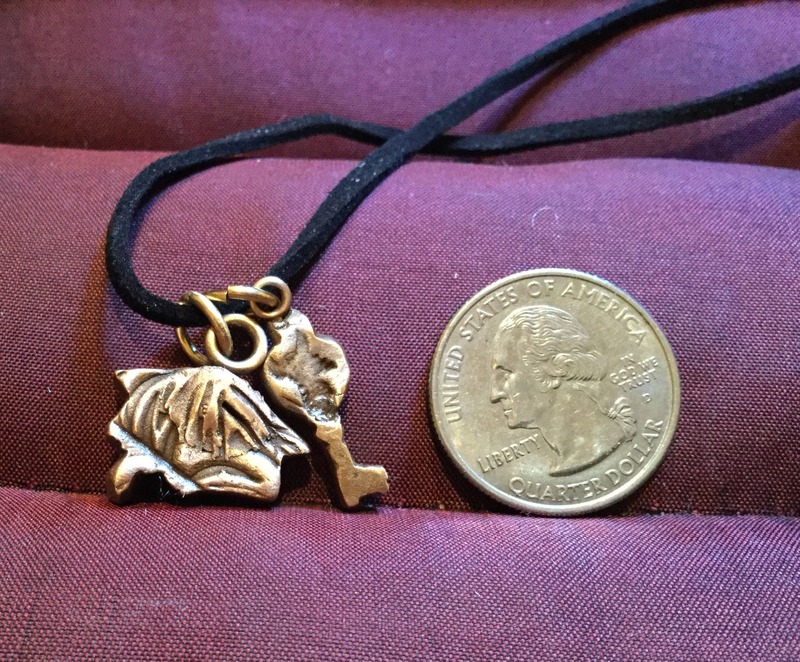 Look for the image that contains a QUARTER, as this coin will help you determine the size. 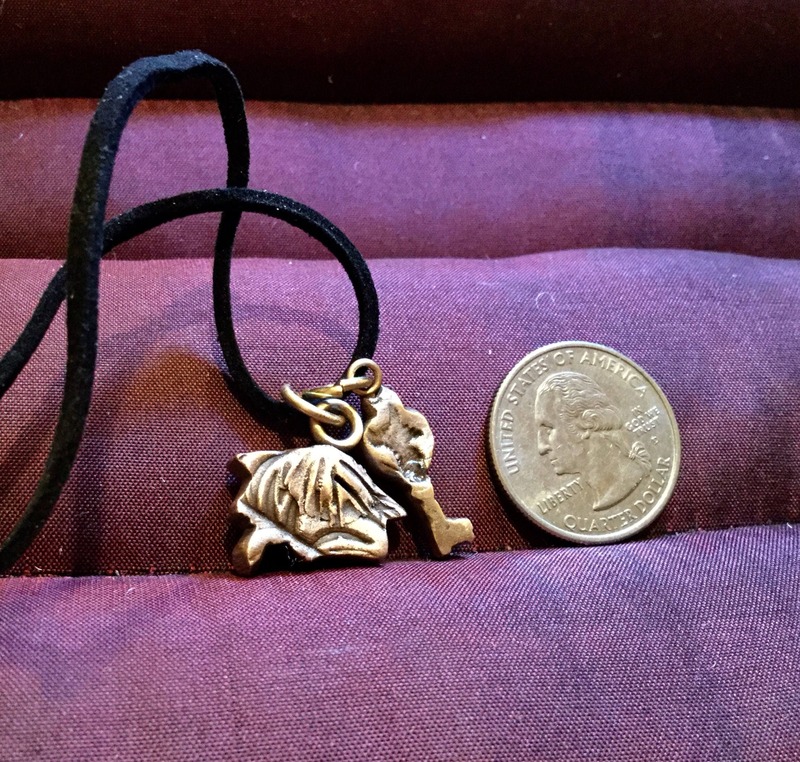 The pendant comes in a silk brocade pouch - perfect for gift-giving. Shipping costs have been calculated for US only. If you are ordering from Canada, Mexico or elsewhere in the world, the shipping costs will be calculated at time of purchases. You will be apprised of the shipping costs by email so you may decide whether or not you would like to proceed.